Oh no. This is it. It’s the end. 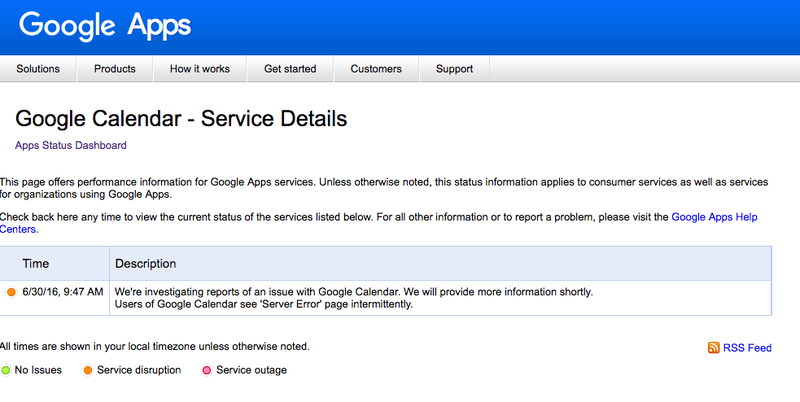 We had a good run everyone, but Google Calendar is down. According to Google’s status page, the holy Calendar has been down since around 13:45 UK time. Sorry, I wish it wasn’t this way. But it is. Blame Google. Update: Google Calendar returned to our lives at around 16:45 UK Time. Aaaaand relax.